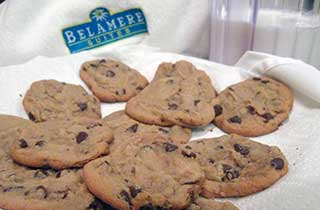 Warm, chocolate chip cookies are baked on site and delivered to your room at the time of your choosing. Got cold milk? Absolutely! Ice cold milk will accompany your cookies. Enjoy!